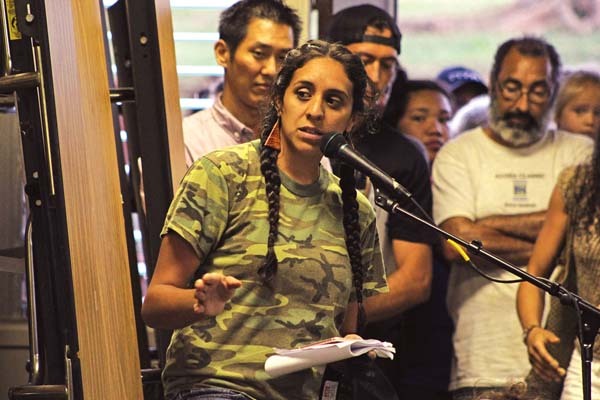 PAIA — Saying “nobody here wants this,” angry residents voiced overwhelming opposition to TEACH, the group that plans to turn Old Maui High School into a center for agriculture, housing and education. 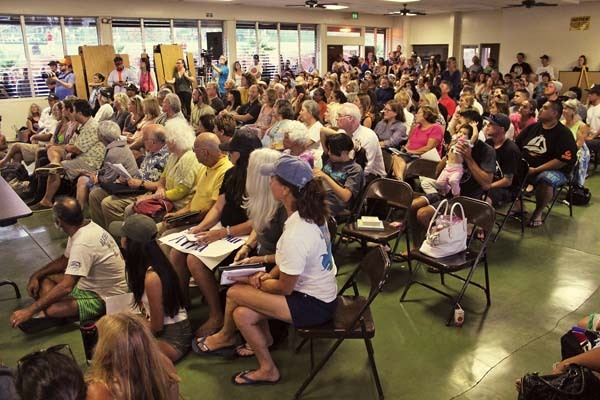 Hundreds of residents packed the Paia Community Center Monday evening, eager to speak out against a project that’s been billed as a sustainable renovation of a campus that closed nearly 50 years ago. “The whole purpose for doing this is not to make money, but to show that we can actually live differently and be much more conscious about how we live on the land . . . and to teach kids new skills that will hopefully make a big difference for their future,” said Mark Chasan, chief executive officer of the for-profit TEACH. TEACH stands for technology, education, agriculture, community and health. In 2014, the county started looking for groups to repurpose the 23-acre campus in Hama-kuapoko and eventually selected TEACH. Owners and officers are residents of Maui, Oahu and the Mainland, according to Jason Hobson, chief development officer. Old Maui High School opened in 1913 but folded after students and faculty moved to the new Maui High campus in Kahului in 1972, according to the nonprofit Friends of Old Maui High School. Various groups have used the campus over the years, including the Maui Dance Council and the University of Hawaii. The Friends of Old Maui High School formed in 2004 to preserve the deteriorating campus. In 2010, the state turned the land over to Maui County, which now gives the Friends of Old Maui High School between $65,000 to $100,000 annually in grants to do repairs on the campus. Now, TEACH hopes to turn the campus into a community hub. About half of the available acreage would be used for regenerative agriculture and permaculture, according to its website. The rest of the space would be converted into campus housing, an education center, a conference facility, youth programs and camp, a museum, amphitheater, restaurant and centers for wellness, culture, technology and food innovation. The project is estimated to cost around $50 million. TEACH officials have said in the past that they would not ask the county for funding. But many residents thought that TEACH was long on ideas and short on specifics. They repeated concerns from past meetings — that the project would attract more development to north shore green spaces and increase traffic in an area already notorious for it. Residents also were upset that the county was considering a low-priced, $1-a-year lease for 60 years, especially for a for-profit organization like TEACH. But the county had offered the $1-a-year deal before it chose TEACH, “in return for the campus to be used for a higher and better purpose than currently exists,” according to the request for proposals in 2014. The county chose the low lease terms “because of the millions it’s going to take to fix the infrastructure,” Office of Economic Development Director Teena Rasmussen said during a council committee meeting in November. Sen. Kalani English said after the meeting that he was still unsure about what the project would offer. He too was concerned about the traffic. 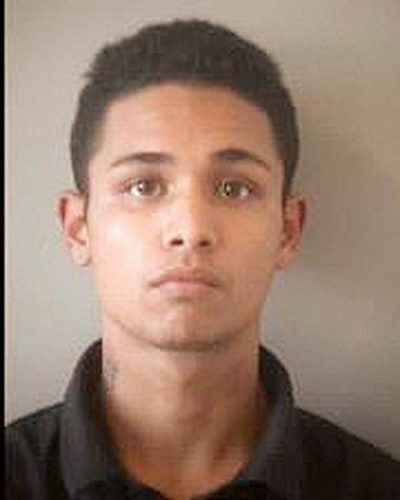 The project is still awaiting a lease from the county. A council committee deferred the issue in November. 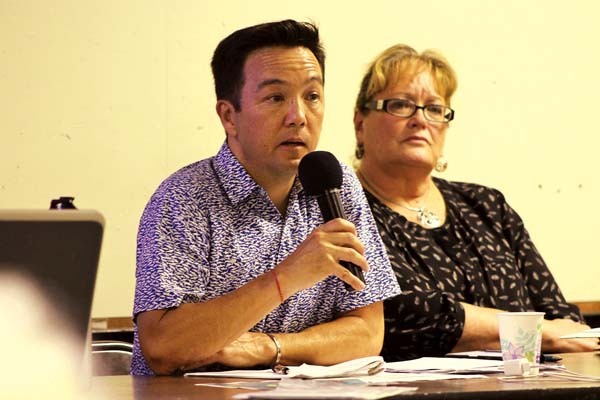 Council Member Yuki Lei Sugimura, who chairs the Policy, Economic Development and Agriculture Committee, said after the meeting Monday that she hadn’t scheduled the item yet.